One of the world’s largest underdeveloped copper and gold deposits on the Frieda River, a tributary of the Sepik, is opposed by local indigenous landowners and all right-thinking Papua New Guineans. The Frieda River deposit is thought to contain 13 million tonnes of copper and 20 million ounces of gold and tens of thousands of people fear the likelihood of serious river system contamination and the threat to the ecosystem that supports them. A spokesman for environment group Project Sepik, Emmanuel Peni, said there was widespread opposition to the mine’s development plan. “From Iniok village, which is where the barges and ships stop at the Frieda River, right down to the mouth of the Sepik, people are against the mine,” Peni said. The East Sepik Provincial government and the national government had not yet responded to the concerns and grievances that have been raised. Land in the Papua New Guinea context means the natural environment including land, rivers and seas. In Madang Province, the landowners of Basamuk, Begesin, Ramu and Kurumbukari villages are affected by the Ramu nickel mine in various ways. The Chinese state-owned mine has been polluting the beautiful coastal seas and people have been denied their food gardens and fishing waters. In a recent documentary, ‘Uprooted’, the people clearly showed their pain about the river system contamination and the environmental destruction. They are fearful of losing their land to large scale development. The deep sea tailings placement (DSTP) method of mine waste management and disposal which the Ramu mine proposed and was approved by the PNG government is causing a lot of environmental destruction and river contamination. “I belong to the government and the government belongs to me,” Martin Dampat, a Mindere landowner, said in the documentary. “How can it abandon me? It must do all that it can to ensure that I am able to feed myself. “It has the ability to do so. But, if it chooses not to, then I know the government has no concern for me. We have reached our limits. We have done all we can. They’ve rejected everything we’ve said. “We feel we can’t do anything anymore. Some have given up trying,” he said. Another disgruntled landowner, John Oma from Ganglau Landowner Company, said: “They don’t have the land to grow their food. They won’t have an ocean to catch their fish. “The government has endorsed the actual deep sea tailings deposit and an environmental plan. I think it is our assurance that the laying down of the pipe will not affect the lives of our people. “We fear for our children’s future. It’s going to be a long time. When waste dumped here, unborn children could be affected. The government and the company must pay attention. They cannot ignore us. What kind of a future will our children have? They have to pay attention. “This is not a fight against development. No. That isn’t why we’re campaigning,” said Ramu landowner Michael Kasuk. “We are fighting to protect and save our environment, our forests, our land, our river systems and our seas because our existence is connected to the land, forests, river systems and the sea,” Mr Kasuk said. 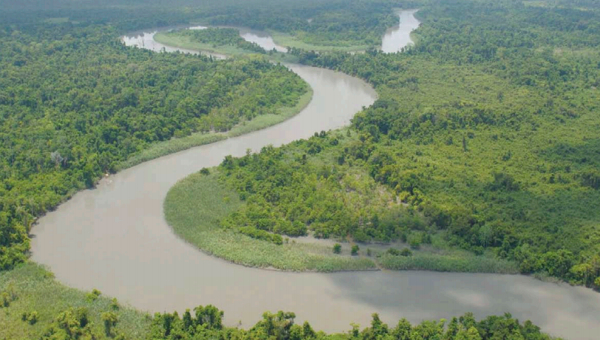 Three Sepik MPs are appealing to East and West Sepik leaders to stop misleading the local people on environmental pollution caused by the Frieda River project. Yangoru-Saussia MP and National Planning Minister Richard Maru, Telefomin MP Solan Mirisim and Ambunti-Drekikir MP Johnson Wapunai supported development of the project. They said developer, PanAust, had revised its design to include a 320km pipeline to transport slurry to Vanimo for export. Maru said he did not support the project at first because the proposal was for copper slurry to go down the Sepik River by barge to sea. “I did not want to compromise the Sepik River in any way because of the experiences we’ve learnt from the Ok Tedi mine,” he said. “I am extremely happy that the new developer has changed the development plan for the Frieda mine. “They will now build a 320km pipeline to take the slurry from Frieda all the way to Vanimo. “In line with that development plan, our Government has now funded the feasibility study and design of the new Vanimo wharf at a cost of over K30 million. “The work is going on now. “We expect that the feasibility study and the design will be completed by around March, latest April. “Our Government has been proactive in making sure we have a wharf which shall cater for the requirements of the gold mine, Bewani oil palm project and vast economic activities that we want to create in the special economic zone in Vanimo. “This is for us to trade into Asia using Vanimo as the major export port. Maru urged leaders and the public to get behind local MPs Mirisim and Wapunai and support development of the project. 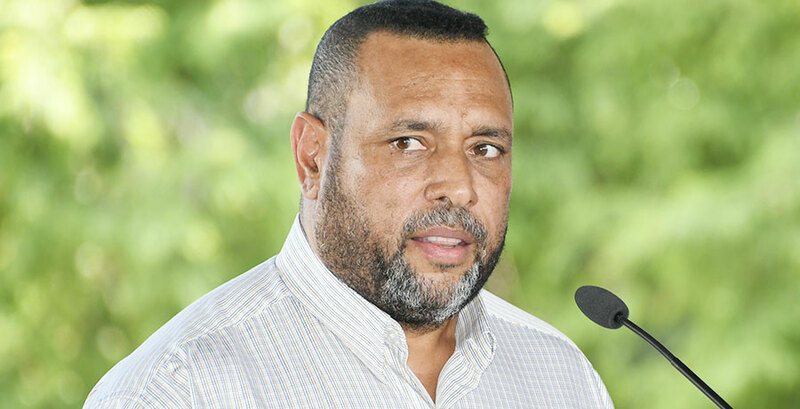 “We are thankful that the developer has already submitted mine development plan and the application for special mining licence (SML) to the Mineral Resources Authority (MRA),” he said. The three MPs responded to recent awareness carried out by tertiary students on the environmental effects of the mine. They said the environment would not be compromised in any way and the benefit streams were far better than what the Government and people have enjoyed in other mining projects. The total cost of the project is estimated to be US$739 million (K2,443.50). EAST Sepik Governor Allan Bird will be seeking wider consultations on the proposed Frieda Mine for a more informed, truthful and transparent decision. “Before we talk about Frieda consultations, I want everyone to know that I have listened to both sides of the argument and I have decided that the issue is too important for a small group or individual to take a decision in isolation,” Mr Bird said yesterday. “Let us start by thinking about the Sepik River people for a moment, more particularly where we see them in 20 or 30 years time. Where do they see themselves in that timeframe? “Will they still be fisher folk? Living a semi subsistence life, selling carvings and other artifacts and performing traditional dances for tourists? Or will more of them desire a decent education, a career or start a business and move to live in a town or city? The current generation might be happy living the traditional lifestyle but what about the younger generation? Is it fair to them that those of us on land see them as suppliers of fish for our sustenance? Is that where they should remain? “Would a large scale mine, managed safely and properly add value to this process of change or badly managed do the opposite? Mr Bird said that he expected the East Sepik provincial government to do the right thing by everyone, to be fair and transparent, to give each stakeholder an opportunity, without fear, without intimidation to discuss their concerns (pros and cons) regarding Frieda Mine. He said the provincial government would to take into account the desires of Telefomin Sepiks, Kopar Sepiks and every Sepik in between. “Let us not exclude PanAust as a stakeholder,” he said. “This year we will have a team of experts look at the EIS and the mine development proposal. On a personal level my only concern is the safety of the river. Anything else, be they benefits for river people, landowners, etc are negotiable. Cobalt 27 Capital has signed a scheme implementation agreement (SIA) to acquire all of the issued ordinary shares in Highlands Pacific which it does not already own through a scheme of arrangement (SoA). Currently, Cobalt 27 is the largest holder of Highlands shares, with an interest of around 13%. As per the terms of the SoA, shareholders of Highlands will receive A10.5 cents cash per share, provided all applicable conditions are being met or waived and the scheme is being implemented. This consideration represents a premium of 43.8% over the closing price of Highlands shares on 24 December 2018 of A7.3 cents and takes the equity value of Highlands to around A$115m ($80.9m). The consideration will increase by A1.0 cents cash for every share to A11.5 cents, provided before the end of this year, the closing spot price of nickel exceeds $13,220 per tonne over a period of five consecutive trading days. This SoA will need the approval of 75% of shareholders of Highlands who are entitled to vote. Voting will take place at a shareholder meeting, which is expected to be held in mid to late April this year. 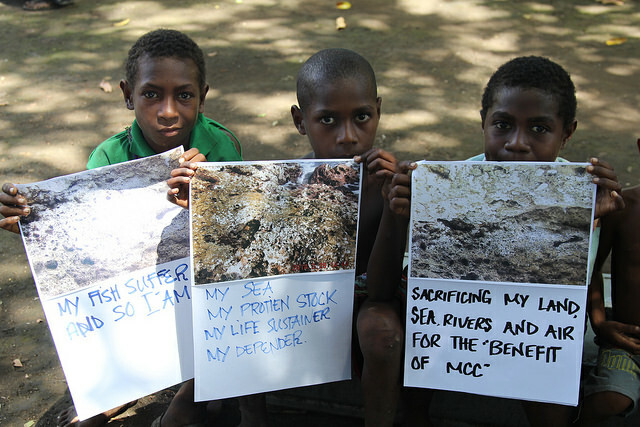 Additionally, the scheme will have to be approved by the PNG National Court. 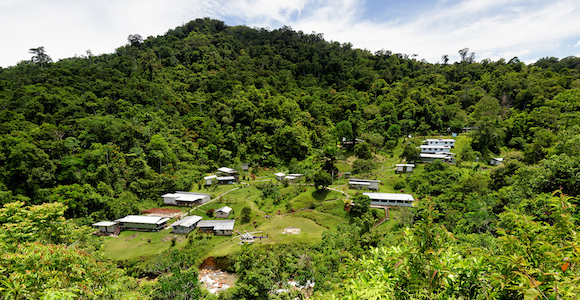 The major asset of Highlands is its 8.56% interest in the Ramu nickel-cobalt mine (Ramu), located near Madang in Papua New Guinea. After repayment of Highlands’ attributable construction and development loans for the Ramu project, its ownership will increase to 11.3%. Ramu is majority-owned and operated by Metallurgical Corporation of China (MCC). MCC holds a 67.02% stake in MCC-JJ Mining that owns all of MCC Ramu NiCo (MCC – Ramu), which inturn holds 85% joint venture interest in Ramu. The Government of PNG and local landowners own 6.44% stake in Ramu. This stake would increase to 8.7% following repayment of construction and development loans. MCC financed and constructed the Ramu mine for $2.1bn. Cobalt 27 chairman and CEO Anthony Milewski said: “The acquisition of Highlands will allow Cobalt 27 to gain a direct interest in the Ramu nickel-cobalt mine and materially increase its attributable exposure to the mine’s nickel production from 27.5% to 100% and cobalt production from 55% to 100%, relative to the previously announced Ramu Cobalt Nickel Stream. In October 2018, Highlands announced that MCC is exploring a potential expansion of the Ramu mine, which could cost around $1.5bn. The details with regard to a potential expansion, however, have not been finalised yet. Cobalt 27 expects to have the opportunity to take part in any potential expansion and boost its attributable production through its purchase of Highlands following the SoA. 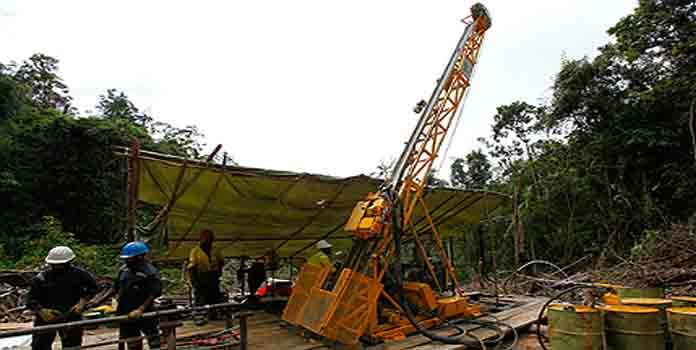 Highlands has interests in the Star Mountains Copper Gold exploration project in PNG and is reviewing the Sewa Bay laterite nickel project in PNG along with Sojitz Group, a Japanese trading firm. Cobalt 27 plans to review strategic alternatives with regard to these non-core assets. A planned new gold and copper mine in East Sepik is opposed by communities right along the length of the Papua New Guinea’s Sepik River, an environmental activist says. The Frieda Mine, on the Frieda River – a tributary of the Sepik River – contains one of the largest undeveloped copper-gold deposits in the world. It is thought to contain 13 million tonnes of copper and 20 million ounces of gold. A spokesman for community environment group Project Sepik, Emmanuel Peni, said there was widespread opposition to the mine’s development. “From Iniok Village, which is where the barges and ships stop at on the Frieda River, right down to the mouth of the Sepik and all other thinking Papua New Guineans, and Sepik, people from all over Sepik, are against the mine,” he said. People are concerned about the possible contamination and destruction of the environment along the Frieda and then the Sepik Rivers, Mr Peni said. MADANG Governor Peter Yama has commissioned a team of environmental experts to immediately conduct an environment damage assessment on the Ramu nickel mine. Mr Yama announced this yesterday after raising serious concerns on how the Conservation and Environment Protection Authority (CEPA) has handled the environmental damages surrounding the Ramu Nickel Project in Madang. 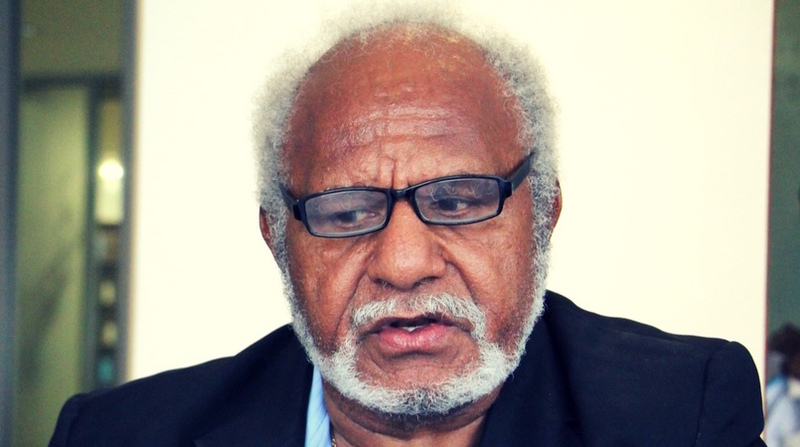 “It would be irresponsible for me as governor for Madang not to outline to my people the provincial government’s stand on the current and future operations of the US$2.1 billion Ramu Nickel project,” he said. At the end of 2012, the company completed full construction and started full operations, and was now operating at its peak. The lack of infrastructure, and social inclusion in the sustainability of their lives. “These issues are serious and the state of the environment is currently unknown, I am aware that Conservation and Environment Protection Authority has not been monitoring the discharge of deep-sea tailings for a couple of years, posing a major threat to our marine environment. LANDOWNERS of the Ramu Nickel mine in Madang have petitioned the government to shut down mine operations following the signing of a K5 billion extension programme last week. Landowner association chairmen representing landowners of project impacted areas in Bundi, Usino and Raicoast petitioned the Government through Mining Minister Johnson Tuke to shut down mining operations within seven days. Their reasons were that Ramu Nickel management and Government did not take into the account interest of landowners before they signed the agreement for mine expansion. They said they did not know the content of the agreement. The copy of the petition was presented to Ramu Nickel yesterday. Kurumbukari Landowners’ Association chairman Tobby Bare said signing of the K5 billion mine expansion took them by surprise. Bare said there were a lots of issues that needed to be raised and captured in the agreement before signing. The landowners raised several issues related to unfair distribution of spin-offs, rising social problems, and equal participation in project development in the petition. The petition also included concerns about delay in the mine’s memorandum-of-agreement review. Bare said landowners felt they were marginalised on their own land. Raibus Group of Companies chairman Steven Saud said the K5 billion expansion was like “erecting another mine within the mine”. He said over the last 13 years since the company started operations, landowners had learnt a lot. Saud said there were certain things the company and Government should have done to meet expectations of landowners but had failed to do so. Ramu Nickel management yesterday said the MOU signing done on Nov 16 in Port Moresby was “a high level understanding to demonstrate commitments by both PNG and Chinese governments to support the company’s expansion plan”. “It is obvious that there is gross misunderstanding among ourselves that led to landowners issuing such threats, and making baseless allegations against the company,” the management said in a statement. The management said the MOA review for the mine would take place once all stakeholders prepared their position papers. The MoA review would be due on December 13.